West Virginia houses the highest population of d/Deaf/hearing-impaired population in the U.S.A. Therefore, there is an increasing need for licensed hearing aid specialists. We pride ourselves here in West Virginia for reaching out and helping people. This is what a career in the hearing health service industry can do for you. Prepare for the hearing aid specialist licensing exam here in West Virginia to start working as a qualified and licensed hearing aid specialist. Register with the Hearing Aid Academy to prepare for the International Licensing Exam (ILE) administered by the International Hearing Society (IHS). Is it something you will feel good about? Will a career as a hearing aid specialist pay you well? What kind of hours will you be working? Is it a stable career opportunity that will stay around for many years to come? A career as a hearing aid specialist (HAS) helps you enjoy a fulfilling career that comes with a great income potential and a chance to help people hear different sounds present around them. So prepare for hearing aid specialist licensing exam here in West Virginia and start working as a licensed specialist in 3 to 6 months. According to the labor statistics, the average salary of a hearing aid specialist is over $58,000 per year. However, due to increasing demand, some companies are ready to pay a significantly high amount of money to licensed professionals. The hearing health industry is growing at a fast pace. The huge demand for licensed hearing aid specialists is due to the following reasons. Different retailers such as Costco, Miracle-Ear, Sam’s Club, CVS Pharmacy and Beltone are opening up hearing centers across the nation. There have been news reports that these expansions have been slowed down due to the lack of licensed hearing aid specialists. So if you have been planning to change your job, this is the right time as there are five job opportunities for every individual that passes the hearing aid specialist licensing exam here in West Virginia. Improved technology is an important factor that plays an important role in the increased demand for hearing aid specialist. In the past decade, manufacturers have come up with highly effective yet virtually invisible hearing aids. Thus, more and more people suffering from hearing loss are coming forward to get treated for their medical condition. The increasing need for hearing amplification devices is seen due to a number of lifestyle factors and the aging population. Approximately 48 million Americans are suffering from hearing loss. Thus, as retail centers offer convenient locations to help patients get access to hearing aids, the need for licensed hearing aid specialists have increased. The hearing health industry is not going to slow down anytime soon. Thus, if you are looking for a great career opportunity this is the right time to enroll in the 100% online self-paced program offered by the Hearing Aid Academy. Working as a licensed HAS give you a chance to work flexible hours and have weekends and holidays off. So you get enough time to engage in your hobbies or other commitments. What are a HAS Responsibilities? After passing the hearing aid specialist licensing exam here in West Virginia, you can start practicing as a licensed professional. You will be responsible for evaluating people with hearing loss and other hearing problems. You will also be responsible to conduct a series of tests and evaluate people to make sure the chosen hearing aids fit them perfectly. You have the option to work at a retail location, open your own hearing aid center or offer mobile hearing aid testing. 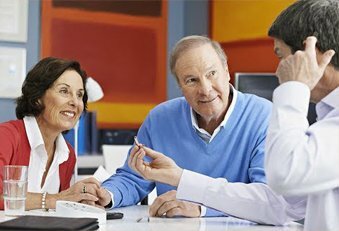 What’s more, for every pair of hearing aid you sell, you can easily generate a huge profit. Thus, by selling a few hearing aids you can earn thousands of dollars in a year. How Can I Become a Licensed HAS? To get licensed and start working as a qualified hearing aid specialist, you need to pass the hearing aid specialist licensing exam here in West Virginia. Further, you also need to qualify the criteria laid down by your state.The ILE is conducted throughout all states of America and the Hearing Aid Academy’s online course is valid in all 50 States. Different states may have some additional requirements which you need to fulfill. We at HAA help you know more about your state’s requirements. In order to practice as a qualified hearing aid specialist here in West Virginia, you need to pass the hearing aid specialist licensing exam and qualify the criteria laid down by the state. When it comes to qualifying as a hearing aid specialist, every American state has its own requirements. Therefore, it is vital to get familiar with your state requirements. If you choose to enroll with an accredited university or college, you need to pay $48,000 as a two-year fee. However, by opting for online education, you save hundreds of dollars while completing the education within 3 to 6 months. Enroll in this self-paced program today and work your daytime job while you prepare for an alternative career. The Hearing Aid Academy welcomes you as a student. Enroll with the West Virginia hearing aid specialist licensing program today. Call the Hearing Aid Academy at (903) 487-0097 or email at admissions@hearingaidacademy.com.